I do not believe in the mentality, that someone who takes their life is selfish. Sure, it's not the kindest thing to leave behind for loved ones to cope with, but if something has it's grasp on a person, well, choices are made. It is devastating that there is still so much stigma for diseases like depression and anxiety. What?! Get the hell out of here with that mess. I would not wish it upon the biggest naysayer even to prove a point. So, to that, I say screw the assholes saying derogatory things. So many good articles have come out about how this man was such a kind soul. My favorite, while hard to choose, is from Jessica Chastain, which was reported through multiple outlets including E! News. Jessica wrote on Facebook about her experience with Robin Williams saying, "Robin Williams changed my life. He was a great actor and a generous person. Through a scholarship, he made it possible for me to graduate college," the Oscar-nominated Juilliard School alumna wrote. "His generous spirit will forever inspire me to support others as he supported me. He will forever be missed." When she was profiled in Interview several years ago, Chastain elaborated on Williams' generosity. "I'm the first person in my family to go to college. We didn't have a lot of money, and Juilliard is a pretty expensive school," she said. "Robin Williams is a very generous Juilliard alumnus, and gives a scholarship every two years to a student, and it pays for everything, and I got it." Just wow. This is a blow to the world indefinitely. 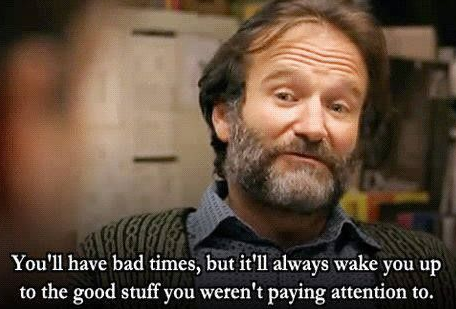 Bless you Mork, Armand Goldman, Euphegenia Doubtfire, Jack, Oh Captain, My Captain, among so many others. 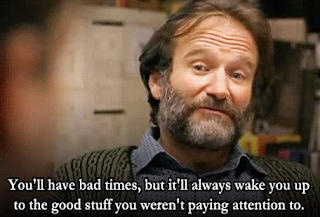 Most importantly, bless you Robin Williams. Thanks for the goodness.